The Winnipeg Jets’ preseason begins next Monday, and with it comes a number of compelling storylines to follow. Here’s a quick rundown of five of them to keep a close eye on as they play through the seven-game schedule prior to their Oct. 4 regular-season opener. Patrik Laine is looking a little different these days, and not just because he shaved off his legendary blond beard. The Finnish phenom, coming off a 44-goal, 70-point campaign in 2017-18, shed 14 pounds in the offseason thanks to some dietary changes. “I tried to get quicker, more speed, tried to lose some weight so I can get faster. 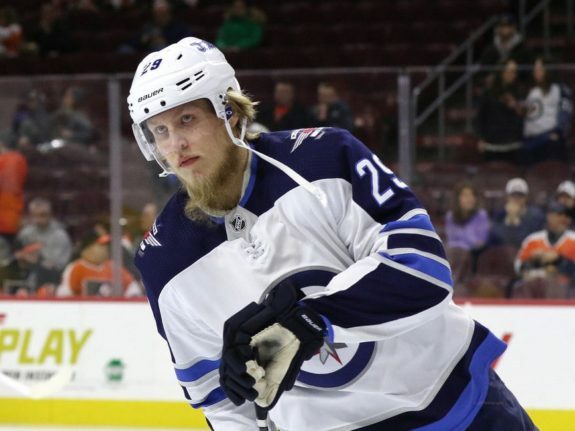 It feels pretty good,” Laine told Winnipeg Free Press reporter Mike McIntyre, adding that cutting out candy and sugar intake was key to dropping the extra poundage. Laine, listed by the Jets’ 2018 postseason media guide as 221 pounds, is now closer to 205 pounds. That should translate into increased foot speed, quickness, and explosiveness that will complement his wicked shot and serve him well when playing with Nikolaj Ehlers, one of the speediest guys around. 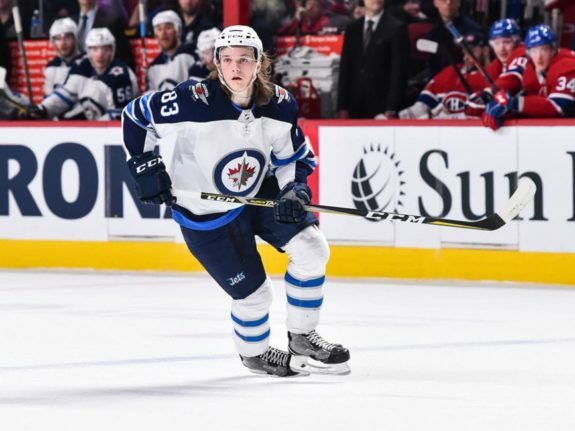 There’s no doubt Laine will be striving to give Jets fans a sneak peek at his improved wheels this September, ones he’ll be looking to use all year long to make him an even more well-rounded offensive threat. The departures of Steve Mason and Michael Hutchinson have left the role of backup to Vezina-nominated Connor Hellebuyck wide open. 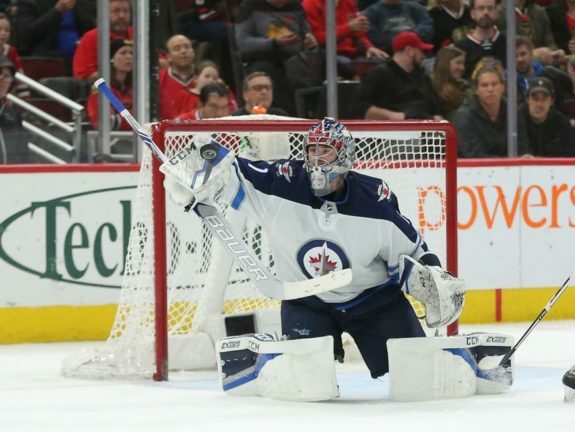 The candidates vying for the number-two job are Eric Comrie, a Jets 2013 draft pick, and former Edmonton Oiler Laurent Brossoit, who the Jets signed on July 1 as a free agent. While Comrie and Brossoit both have extensive AHL resumes, they are both inexperienced at the NHL level; if there’s a frontrunner, it’s not clear who it is. Comrie may reap the benefit of the organization’s loyalty and draft-and-develop strategy, while Brossoit may reap the benefit of having more NHL experience. Expect the pair to get equal crease time throughout the preseason — and two, perhaps even three starts each — as the Jets will want to keep their masked men under the microscope for as long as they can before deciding who stays up and who goes down. The competition is set to be keen as whoever shines brighter during their preseason playing time will likely get the gig. The Jets are blessed with a bounty of riches at forward, but that bounty creates competition. The Jets’ bottom-six is log jammed, with many potential players but precious few spots available. Adam Lowry, Andrew Copp, and Brandon Tanev are virtual locks for the bottom-six, and either Bryan Little, Mathieu Perreault, or Jack Roslovic will find themselves there as well, depending on who slots in between Laine and Ehlers on the second line. That leaves just two open spots for a bevy of hopefuls who want to stick with the squad for the start of the regular season. 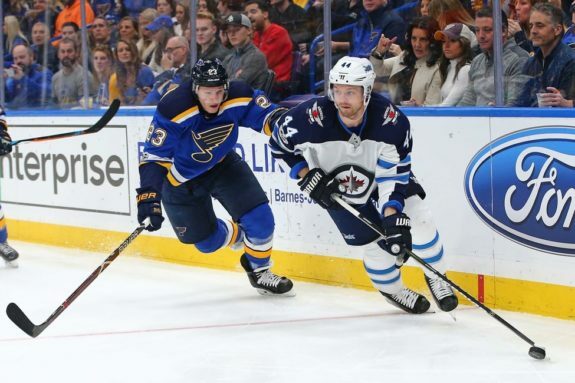 Feisty forward Brendan Lemieux — a scrappy customer whose playing style could be a perfect fit for the fourth line — will be looking to make his jump to the Jets after two seasons with the Manitoba Moose. 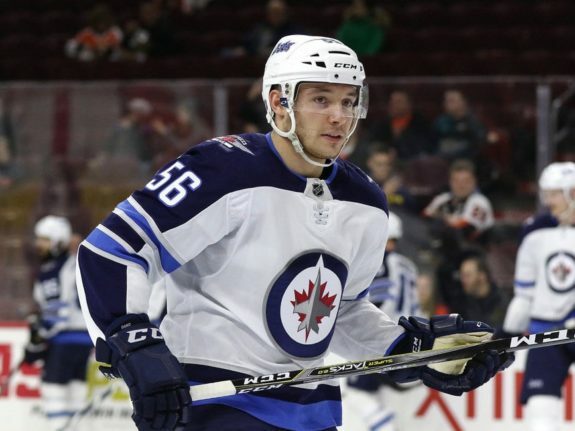 Marko Dano, meanwhile, will be looking to capitalize on his best and last chance to become a nightly contributor rather than a press-box denizen. Also in the mix are highly-touted prospect Kristian Vesalainen, who could very well crack the team but has options in his maiden North American season; creative but undersized forward Nic Petan, who will be looking to prove he can finally translate the offensive output he’s produced for the Moose into NHL success; and 2017-18 AHL Rookie of the Year Mason Appleton. The hopefuls know there’s not room for everyone, so count on each guy to play with a chip on his shoulder as they all try to make the best possible impression. Selected deep into the seventh round of the 2015 NHL Entry Draft, Sami Niku shattered all expectations in his rookie season with the Moose, tallying 16 goals and 34 assists and taking home the Eddie Shore Award for the AHL’s most outstanding defenseman. He is one of the Jets’ best and most exciting prospects. While Niku is likely destined for NHL playing time in 2018-19, how big a role he’ll play is still a question mark. Some believe the 21-year-old Finn —who possesses extreme speed, an accurate shot, adept puck-moving ability, and sound positioning — will slide seamlessly into the left-hand slot vacated by Tobias Enstrom. However, his body may not be quite ready for that. Still young and slender, the concern is that Niku might get bashed around, bullied, and brutalized. How he reacts to the increased physicality will go a long way in determining if his role on the blue line come October is starring or sheltered. The most important storyline to keep an eye is one you don’t have to wait for puck drop to watch. Less than a week to go before preseason, Josh Morrissey, a stalwart of the Jets’ back-end and half of the top-pairing, shutdown duo alongside Jacob Trouba, remains without a contract. Despite Morrissey saying in late August he was “confident” a deal would get done in time for the season and Jets general manager Kevin Cheveldayoff saying last week he expects Morrissey to sign in time for training camp, talk is cheap. That’s especially clear to Winnipeggers, who listened to Jacob Trouba say “the quicker, the better” when talking about a long-term deal but then watched as the sides couldn’t agree to one even after arbitration. It’s becoming increasingly probable a deal will not be done in time for camp, even though Cheveldayoff continues to hope. If that’s the case, the Jets will use the preseason to practice adapting to life without him and experiment with different ways of retooling their D-corps to compensate if he decides to hold out to begin the regular season. In that case, expect veteran left-handed defenseman Dmitry Kulikov to get a long look as Morrissey’s replacement. This would make Kulikov unavailable to play alongside regular partner Tyler Myers, so also expect the Jets to test out Myers’ chemistry with Ben Chiarot, Joe Morrow, and Sami Niku. Of course, there’s still a chance Morrissey signs within the next week, making all this moot. However, it just goes to show how the Jets’ defence is entirely contingent on the Morrissey contract talks. Indeed, there are many compelling storylines to keep an eye on over the next few weeks, and they are just teasers of what’s to come. The main act doesn’t start until Oct. 4, when the regular season and the Jets’ quest for a Stanley Cup begin.